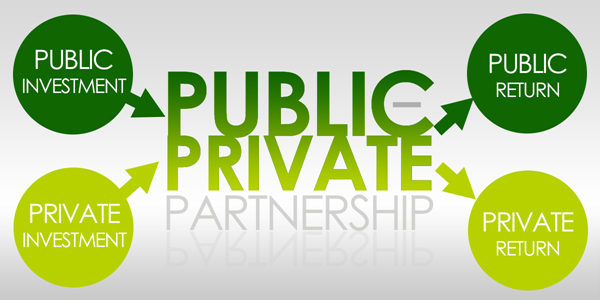 Public Private Partnership (PPP) project refers to the type of projects which are basically based on contracts or dispensation agreement between government body or statutory organization on one hand and a entirely private sector company on the other hand, for the deliverance of infrastructure services on expense of the user charges. The main objective is to incorporate the best of services and capabilities of both private and public sector for mutual interests and maximum public welfare. PPPs are basically carried out to construct new public facalities and for improvement of the existing public structures. In comparison to the traditional procuring models, in PPP projects the private sector takes on the greater role in department of planning, financing, designing, constructing, executing, and upholding of these structures. For a country as big as India, arrangement of good quality facility infrastructures turns into an unquestionable requirement to keep up and advance towards greater growth direction. To tackle this issue, the administration has ventured up conjectures towards groundwork through PPP. The Eleventh Five Year Plan has set an aspiring goal of expanding aggregate capital from approximately 5% of GDP in the first year of the plan preparation 2006-07 to 9% by the terminal 2011-12. Approximatelt 30% of the necessary assumption of tentative Rs 2,056,150 crores has to be initiated from private capital. The conjunction of emerging foundation needs and social requests, blended with strict legislative spending budgets and the public’s opposition to extra tax increments, has made it fundamental for government authorities to swing to the creative qualities and admission to working capital controlled by the private segment keeping in mind the end goal to satisfy duties. The government contributes the right to financing, designing, building, operating and maintaining a development project to a private organization, which upholds possession of the development project. The private sector is not obliged to transfer the structure back to relevant public body. The government grants a franchise to a private partner to finance, design, build and operate a facility for a specific period of time. Ownership of the facility is transferred back to the public sector at the end of that period. The public body sells the structure to the private sector’s business organization. The private business renovates and takes over the functioning of the facility. In this model, the private sector undertakes the functions of designing and building a facility/structure on a turn-key approach. After the completion of the facility, the name for the new facility is then given to the government body, whereas the private sector aids the functioning and running of the structure for a given time period. This model is also known as Build-Transfer-Operate (BTO). This model is comparable to Design-Build apart from that the private sector also runs and maintains the facility. The public sector however, keeps hold of the responsibilities for operations. The private business purchases the government facility, renovates it with its own capital, and finally runs it via a public contract. The government allows the permission to provide financial aids and construct a project which is then rented back again to the government for an decided term and fee structure. The structure is then functioned by the public body. At the end period of the decided tenure time period, the venture is assigned to the relevant government body. We can say that CAO is a contractual contract in which the project developer adds to the already on hand structure facility which it takes on lease from the public body and runs the extended facility project over an agreed period of time. There might or might not be a transfer arrangement with consideration to the toped up facility as per given by the project developer. We can say that DOT is a contractual agreement where the desired and suitable conditions peripheral to the new facility project which is to be constructed by the private sector are incorporated into the agreement by giving that organization the right to build up adjacent assets, and therefore, enjoy some of the remunerations yielded by the capital investment like the greater property or rent standards. We can say that ROT is a contractual agreement which is when an current structure/facility is handed over to any private organization to renovate, function, and maintain for a particular period of time as a contract, and when the expiry date is met, the structure facility is handed over to the related government facility. The term is also used to explain the buying of a current structure internationally, renovating, assembling and making usage it within the host nation. ROO can be said to be a contractual deal in which the current facility structure is handed over to the private organization for renovating and functioning. There is also no time restriction on the ownership. As long as the functioning group does not break the rules of the franchise, it can continue to function and run the facility forever. In this type of model, the private sector undertakes the responsibilities of the designs, builds, and finances and also runs and looks after the new facility under a long haul rent basis. When the lease term comes to an end, the facility is then transferred to the related government body. In some nations, DBFO/M comprises both BOO and BOOT methodologies.